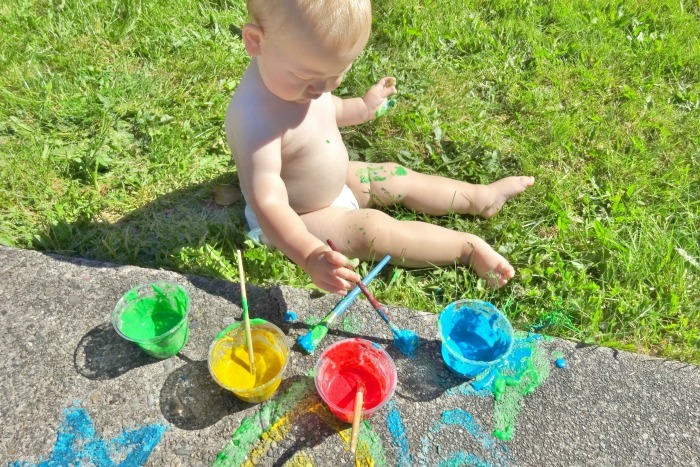 The amazing weather we’ve been having recently has inspired me to do all sorts of new, fun activities with Caleb! 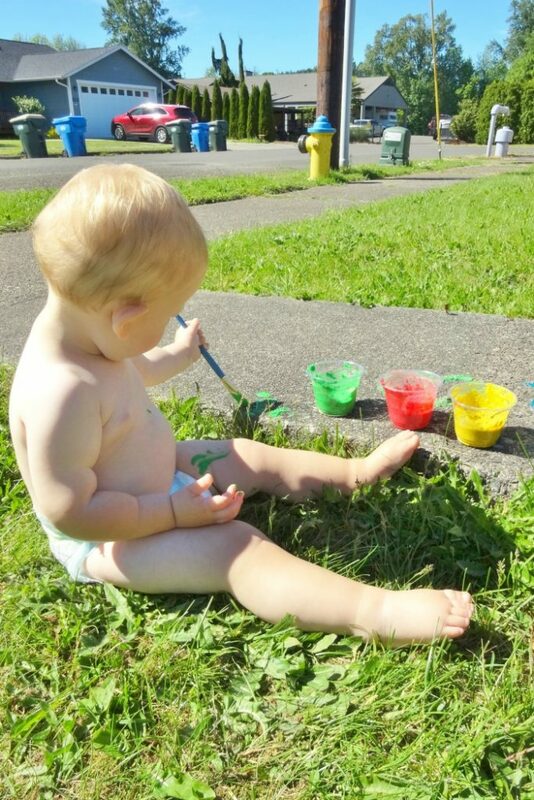 He’s just starting to enjoy coloring so I thought he’d have a blast painting! 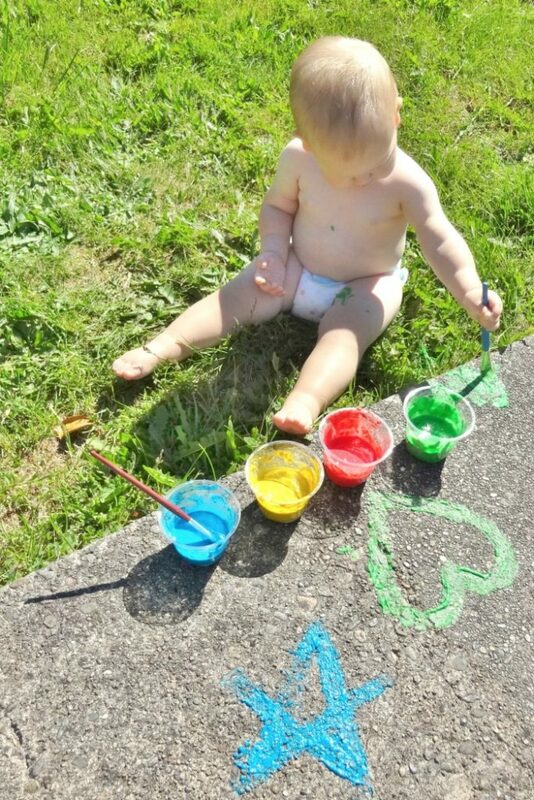 Without a doubt I knew chalk paint would go over great with my little man. You better believe I was right. 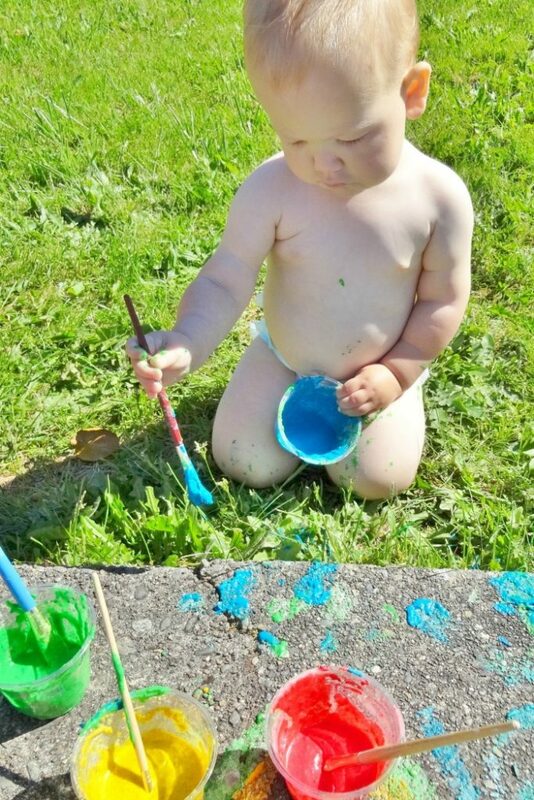 Caleb had so much fun spreading the colors all over the ground… and all over himself. 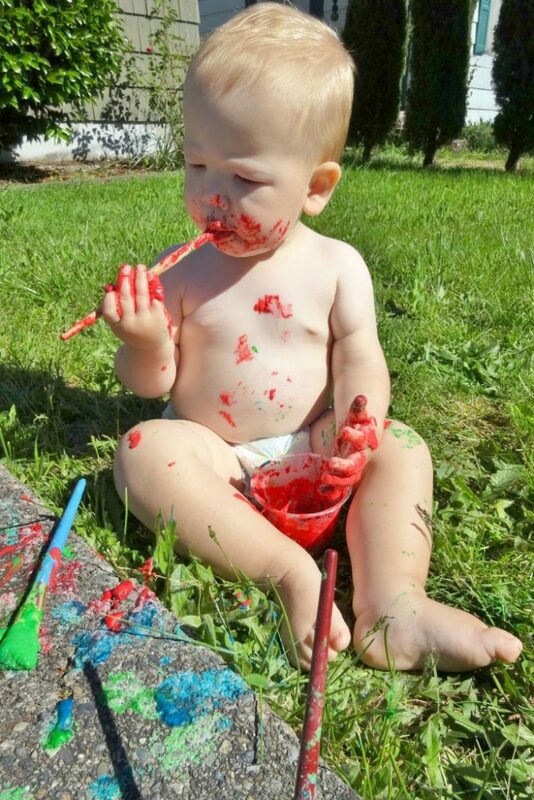 Since Caleb still thinks everything needs to go into his mouth, I thought it would be a great idea to make my own edible paint for this activity… You know, just in case! Thank goodness I did! 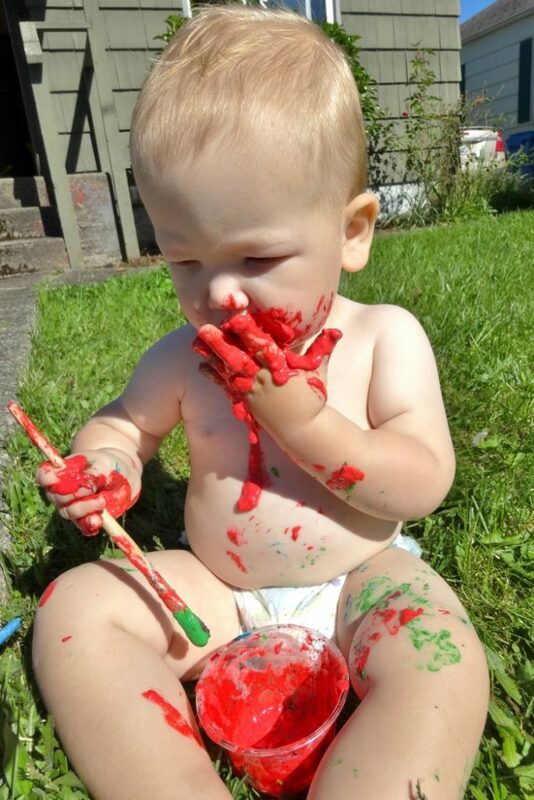 After painting for a while, Caleb licked his hand a little… then he licked the paintbrush… then he stuck his whole hand into one of the cups and chowed down. That’s when I knew it was time to be done. 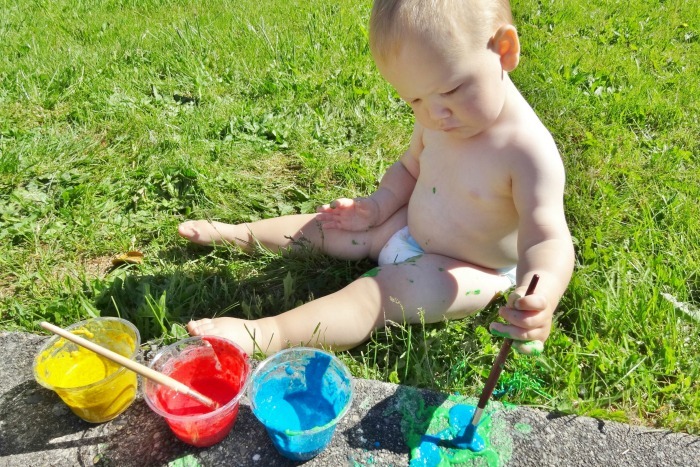 It’s important to me to plan these new and fun activities for Caleb. 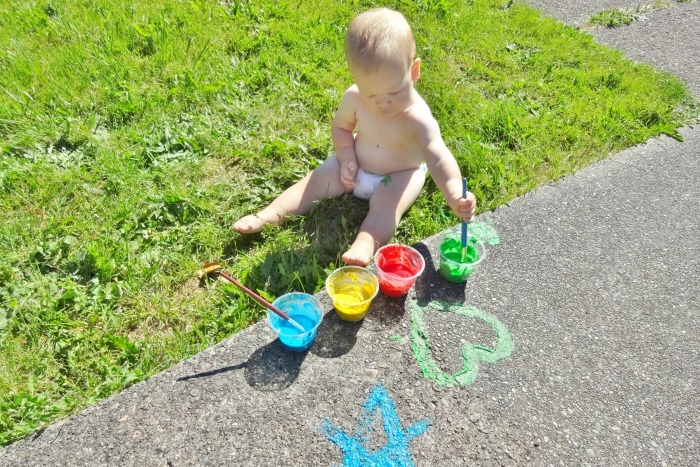 He loves learning and exploring and I want to encourage him in that. 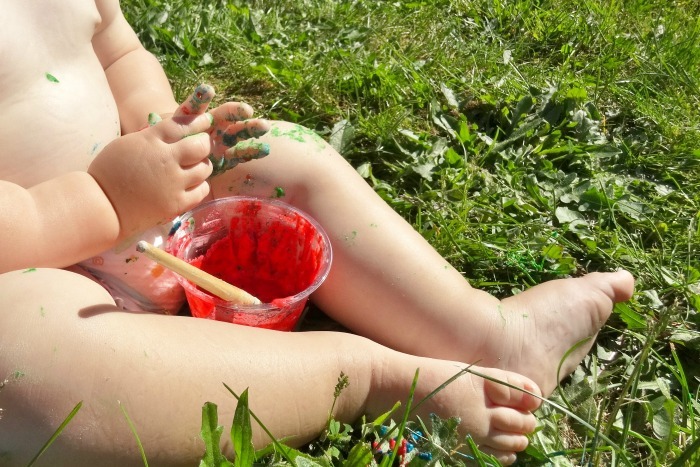 It’s easy for me to keep our days monotonous and, honestly, I prefer that but I know Caleb needs to grow and learn so I get out of my box for him! Interested in trying it out with your own kiddos? You’re in luck, I’ll share the recipe! 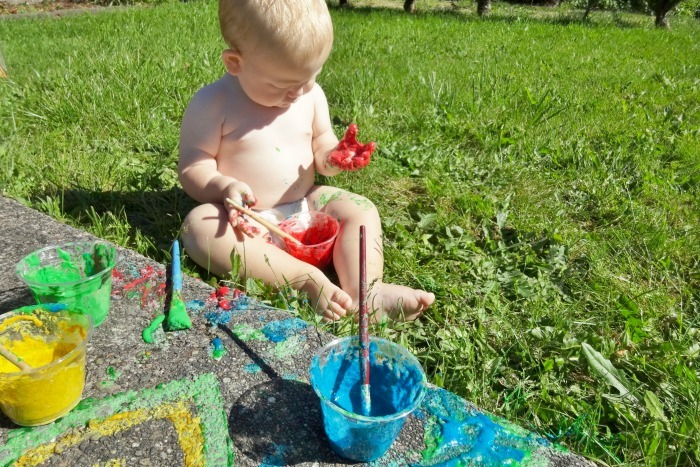 Note: Before painting your concrete be sure to test a patch first to ensure that the stone isn’t so porous that it absorbs the food coloring. I failed to test it and some of the more white stone is gonna take a while to lose the color that soaked into it… OOPS! I’m thankful for a gracious husband who just rolled his eyes at me for minorly staining our concrete. 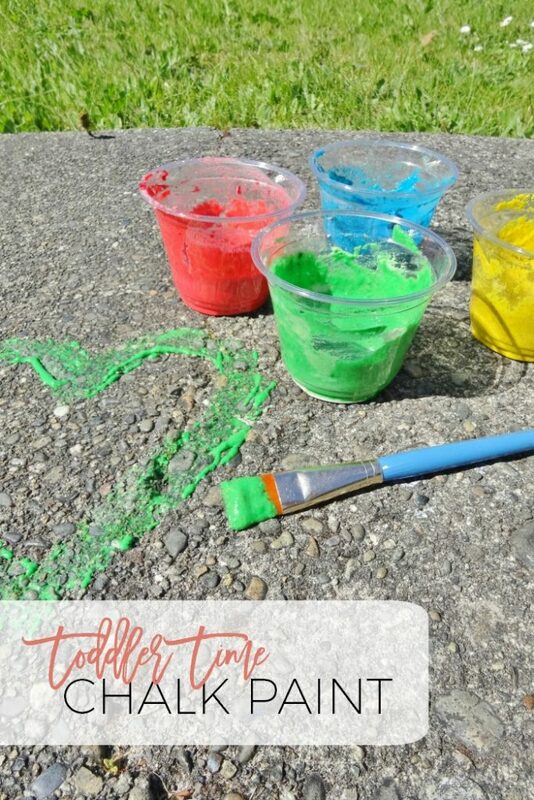 My recipe isn’t specific since a lot depends on the consistency and color you want your paint but here goes… Put 1/4 cup of flour into a disposable container. 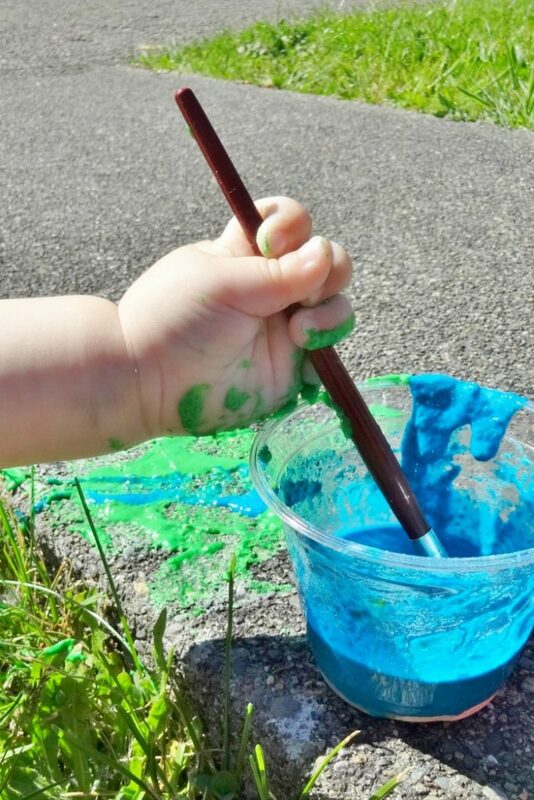 Slowly add water and whisk until it reaches a paint like consistency. If it gets too thinned out, add a little more water. 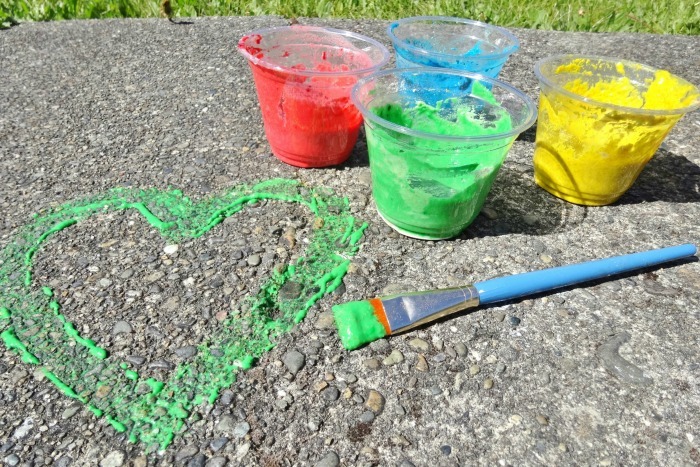 Once you get the paint to the right consistency, whisk food coloring in until it reaches the color you desire! That’s all there is to it! 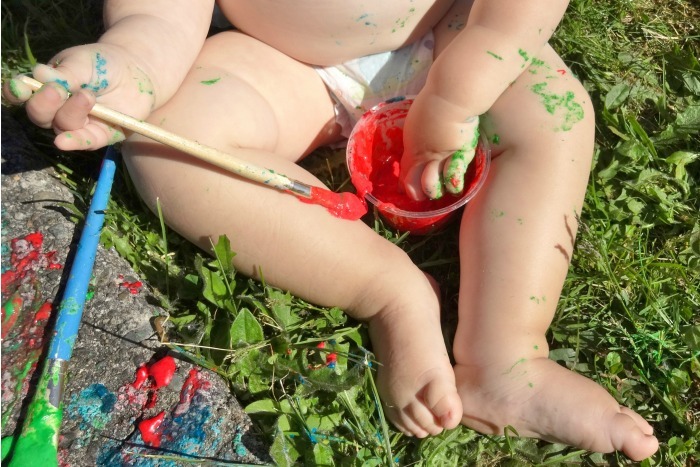 What are creative activities you do with your toddler? Have you ever tried flour and water? It’s not tasty!